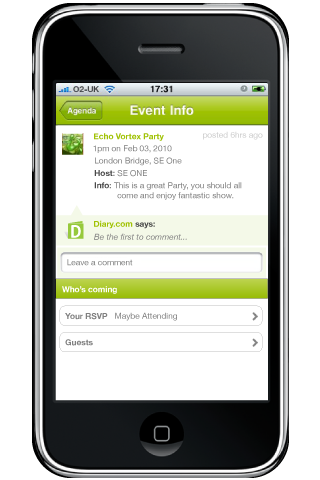 I started my job with Diary.com, a London-based startup, back in August 2010. 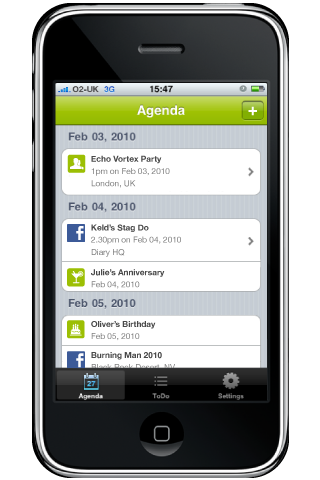 Since then, I’ve worked on their webapp, which is based on Ruby-on-Rails, and spearheaded the development of Diary Mobile app in a platform agnostic way for faster releases to both the Apple AppStore and Android markets. 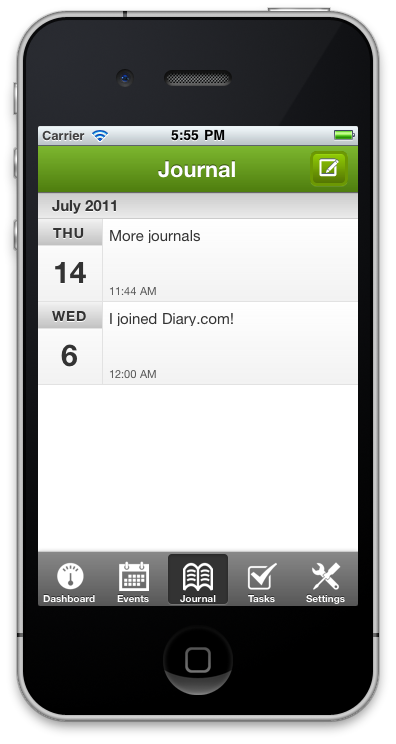 Diary Mobile was already a mobile app on the Apple AppStore before I joined. 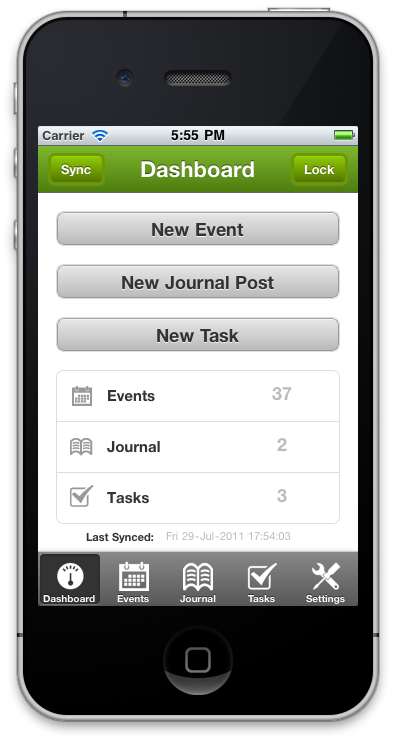 However, it was based on native Objective-C technology. It used to look ok but there were subtle issues with this version. It simply was not robust in syncing the device data with the REST based server interface and vice versa. Moreover, the Objective-C developer was not committed with the startup on full-time basis causing major concerns for the fledgling startup. 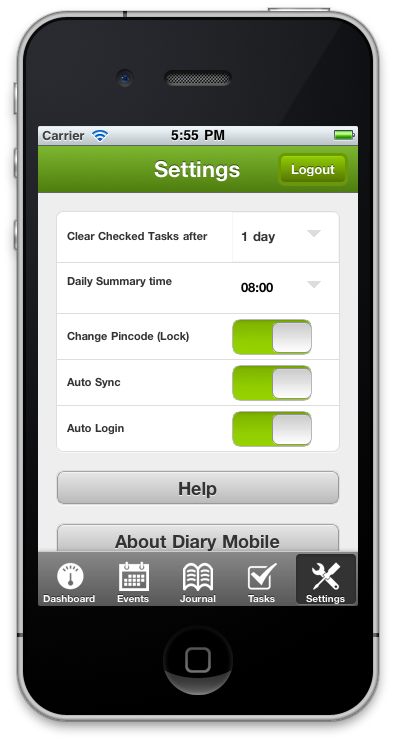 At the time of my joining, a very cool designer also joined, and together we worked on a new HTML5, Phonegap & Sencha Touch based rewrite of the mobile app. This rewrite took the same amount of time as the original development of the native Objective-C app. 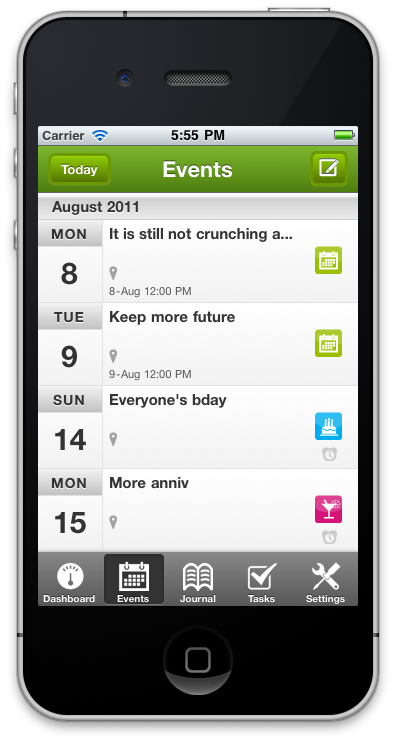 However, we focused really hard on optimizing the syncing part and also improving the overall experience for the end user. The results were encouraging with a lot of downloads. 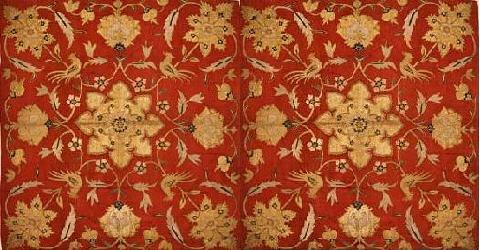 However, there are still rough corners that need addressing. I’ll be detailing the development in my upcoming posts. Its a cruel world out. You need to take very quick and careful steps otherwise you’ll roll down the mountain on which you’re trekking. I’ve decided to work on more than 1 startup at a time and see which one succeeds. Since the underlying technology is the same in my startups therefore I can afford to have them run at parallel. None of my startups are funded at the moment. Therefore, I’m also making sure that we get some paid projects based on the technical capabilities that we have developed. We are currently working on following lines: wordpress, jQuery/AJAX, PHP, Sencha, Scala/Lift, NoSQL and a whole lot of APIs: Facebook, Twitter, Geolocation, you name it. So if you have any projects related to these technologies like custom website development and mobile HTML5 apps development, we’d be happy to help you achieve your desired goals. I’ve figured out the architecture and the technologies behind it: Flex4/Air2 as front end, Scala as backend and No-SQL (probably) as a data store. 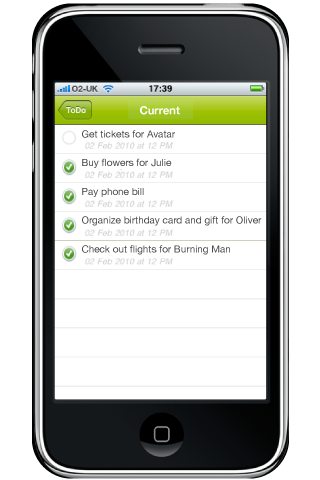 The application may also be available as SaaS offering, in a cloud, some time in the future. For that I need someone who has 3+ years of experience in enterprise software development: Whether he has worked in .NET or Java, it doesn’t matter, but what matters is his ambition to learn to do enterprise application integration, preferably with CRM or payroll systems, in a far efficient and elegant manner. I mean doing it through RESTful concurrent Scala! Scala is a new kid in the block but it has garnered great reputation after twitter and linkedin chose to migrate their core technology to this new JVM-based language. It supports elegant multi-core concurrency language features apart from providing a very clean syntax. Another person, who may be of an interest to me, would be a Flex desopler (designer/developer) who is also an expert in designing UX (user experience) for consumer applications. So anyone with ambitions, authorization to work in UK and willingness to take the risks in order to change the world is welcomed!